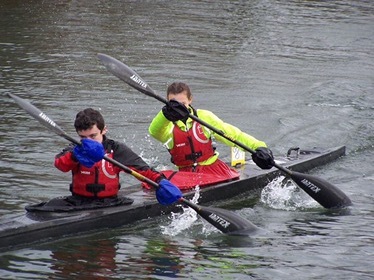 Today, it was Chelmsford’s turn to host the 5th race in the Flatwater Winter Series with a fantastic turnout. Almost 150 competitors participated over 2 separate starts. Classes 13-21 with a total of 37 paddlers set off at 11am with the remaining classes setting off at 12pm. After a freezing spell over the last week and problems with frozen locks, today was mild in comparison. The rain held off and conditions were good. The decision was made to race through the town. It was certainly interesting navigating the wash through the first part of the race! There were a few podium finishes for Barking &amp; Dagenham. Fortunately for me, Trish True, in the female GP, there were no portages and I achieved my 3rd Gold medal of the series and maintained my position of first place overall. John Leonard Green &amp; Ron Dains gained a silver medal after a hard fought race against Chelmsford’s Andy Porter and Tony Williams, in the C2 Touring Class 13, who were left in 3rd place. Leanne Brown and Aaron Jordan in the Open K2 class managed a well-earned 3rd place and bronze medal. With only the Leaside race to go, the club is looking good for some trophy’s this season. Barking &amp; Dagenham are 3 rd in the club league table. Tobias McCready, class 15 male U14, is in joint 3rd position in the league tables going into the final race after gaining an additional 6 points today. Our mixed junior K2 crew of Romeo Balla and Dannielle Clifford achieved 1st place, which makes 5 wins in succession, and a guaranteed 1st place trophy at Leaside at the end of the series. Well done! 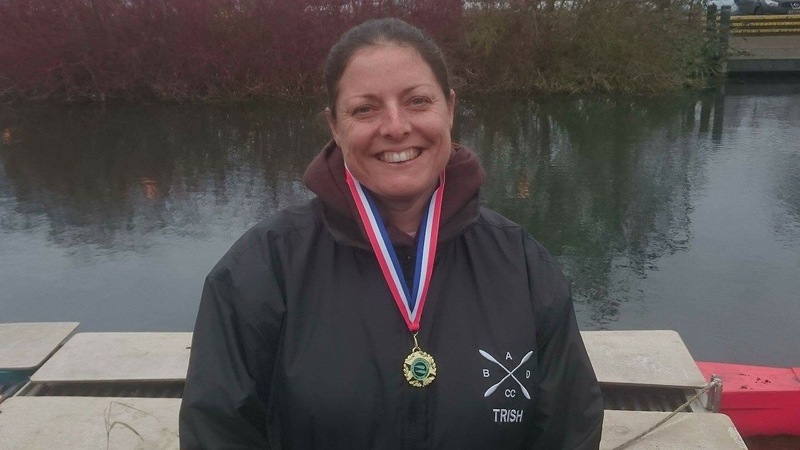 Race report by club member Trish True.